Barcelona is the ideal city for team building meetings and activities. Cosmopolitan, avant-garde and modern, it allows implementing any plans to organize events for colleagues, subordinates and business partners. It is always great weather here, the sun shines, and the delightful views won’t leave anyone indifferent. Bring your team to Spain: we will help you maintain high morale and work on your corporate culture. How to turn a group of single creators into a coherent mechanism that moves the company towards success and prosperity? 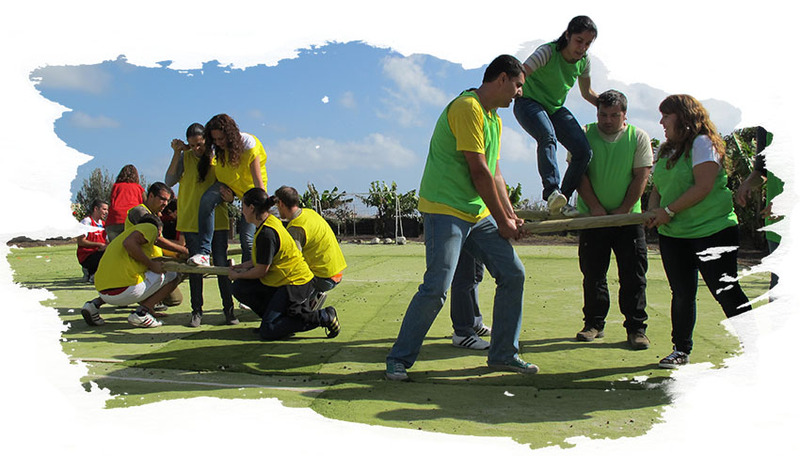 Entrust us the organization of activities for team building. We will develop the program and adapt it to the needs and specifics of your company. Everything to help you achieve your goals and solve personnel problems. Leave your contact information. We will call you back to discuss the details of the event. Regatta in the open sea and beach competitions. Quests around Barcelona and hiking in the mountains. Wine tastings, cheese and culinary master classes. Art parties and extreme sports activities. Do you want to conduct team building in a specific place? Tell us about it. And if you do not have a specific idea, we will offer several suitable options to choose from. What is a good corporate holiday? This is a full-fledged psychological load, training in effective teamwork and motivation for further achievements. Ordering team building programs in Events Anastasiya, you get a full implementation of the event on a turnkey basis – from the development of the script to the solution of organizational moments. We are located in Spain, so we work directly with service providers, without intermediaries. And we can offer affordable price policy with consistently high quality of service. Give yourself and your colleagues the opportunity to have a fruitful and useful holiday in sunny Barcelona. Conduct your team building with us and see for yourself the positive effect of this team building trip.